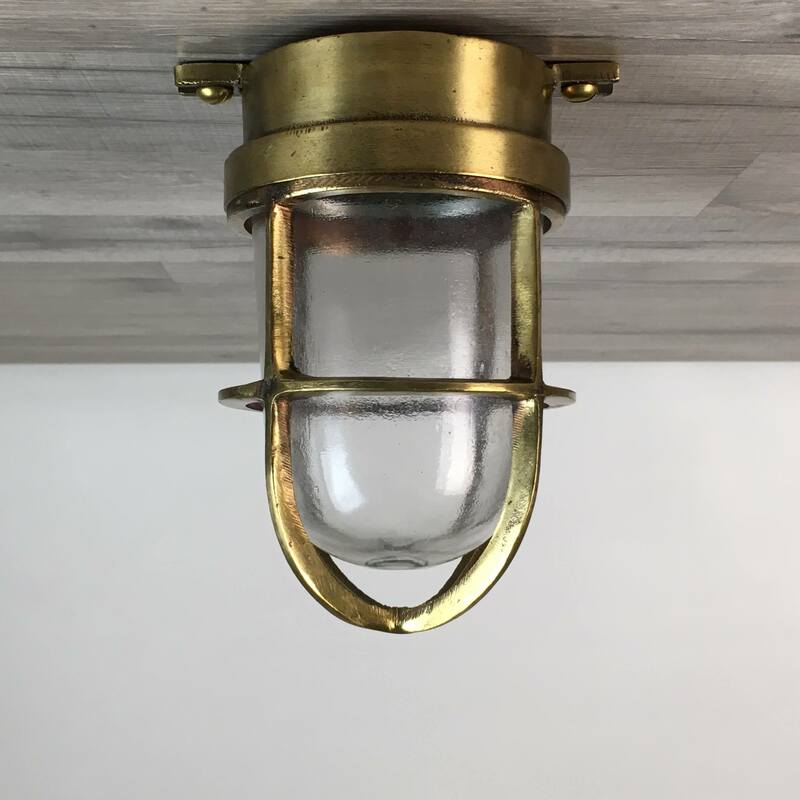 These four original nautical bulkhead lights each measure about 10 inches tall. The wall mounts are 3 3/4 inches in diameter and have four mount holes. When mounted to the wall, these lights will extend out from the mounting surface by about 6 inches. Each light weighs about 5 pounds. All lights have been re-wired with new Westinghouse Electrical parts. These parts are UL listed and rated to work with any voltage under 250 volts. New ground wires have also been installed. The new bulb sockets take a normal screw in house bulb of 75 watts or less. If you have an existing junction box in the mounting surface, this light may require one of our specially designed brass adaptor plates that are an additional $20.00 each. If ordered with the lights, we will install them for you. 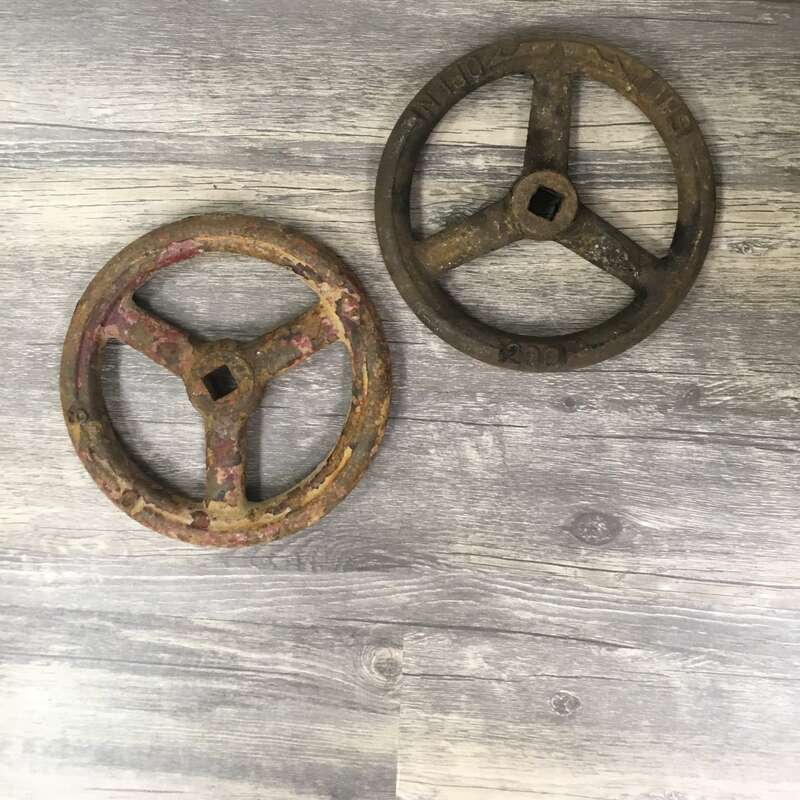 You will be shipped the four original nautical bulkhead lights shown in the photos.